One bag of our Ghost Purple to Red to Gold Chameleon Paint 4759OV treats one mixed quart of clear, full color change in 2-3 coats! Safe for Powder coating too! Always use a black base color. One of the best things about our 4759, 4769, and 4779 series (White) chameleon pigments is that they are a transparent particle and can be sprayed over other colors. 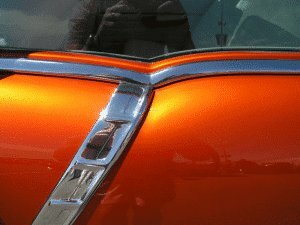 Try this in epoxy resin, polishes, sealers or other coatings for a great custom effect. Our Purple to Red to Gold Chameleon Paint 4759OV has several color changing aspects, but photography tends to capture only a few of them. We priced a similar paint at the automotive paint store and they were asking 3000 dollars per gallon. Our 25 gram bag makes a mixed quart of reducer and binder / clear coat. 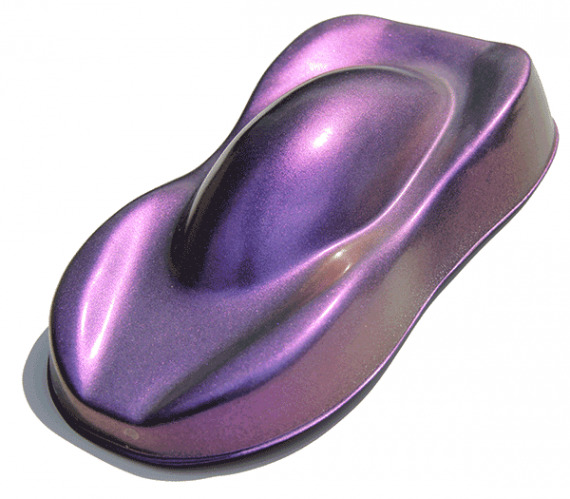 These custom chameleon paint pigments are truly easy to mix and spray to create your own custom paint job or project, whether it be car, motorcycle, watercraft, or in the home. 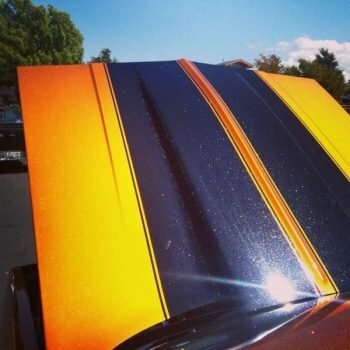 It will literally mix with any clear finish, so it is good for fiberglass as well. 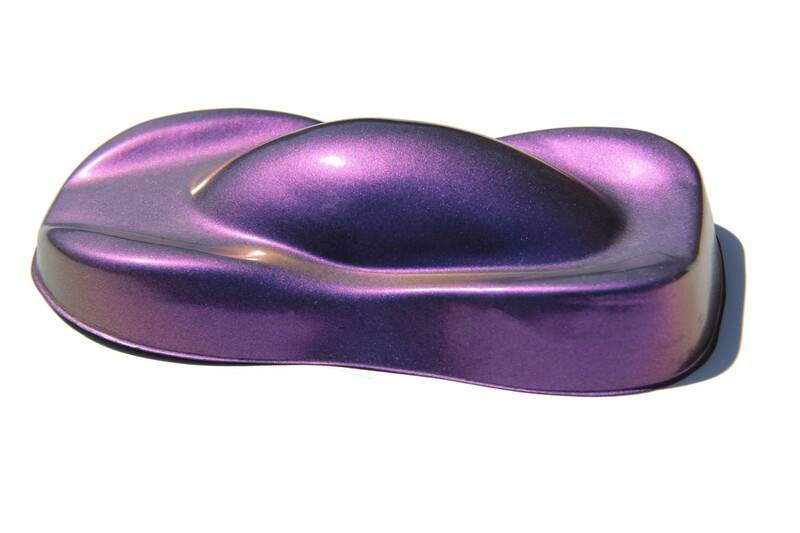 Try our Purple to Red to Gold Chameleon Paint Pearls ® for a truly expensive looking custom paint job. Visit our FAQ page for more answers to your questions, or contact us, we are always ready to answer questions. Use them in paint, with powder coatings, or fiberglass. Mix them into Liquid Wraps or any other coatings. 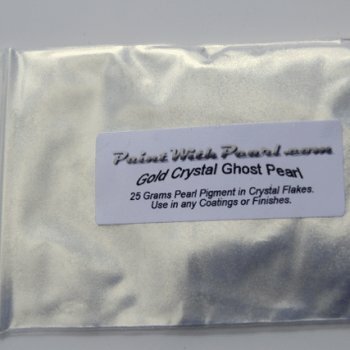 Not only are all of our Chameleon Pearl pigments completely compatible with all coatings, we were the pioneers who introduced Pearls to the world. 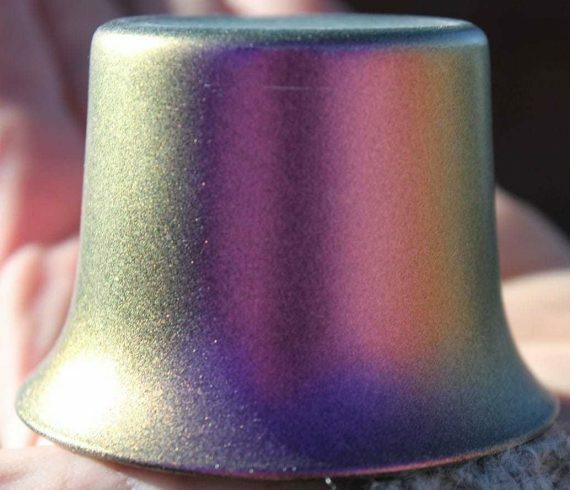 Using our Purple to Red to Gold Chameleon Paint 4759OV paint, you can save a ton of money buy buying our pigments and making your own paint.